Twin Falls in Pisgah National Forest is a beautiful setting with two nearby 100-foot tall waterfalls that can be viewed at the same time. 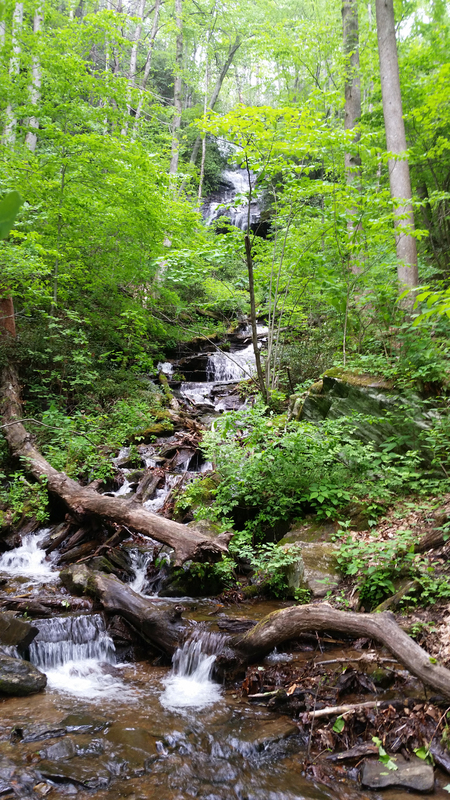 The quickest way to reach it is a 4.5-mile miles round trip, returning by the same route on the Avery Creek and Buckhorn Gap Trail. The Avery Creek Trailhead is on Forest Service Road 477, about 2.6 miles from US 276. There’s a very small parking area a short drive past the Pisgah Forest Riding Stables. 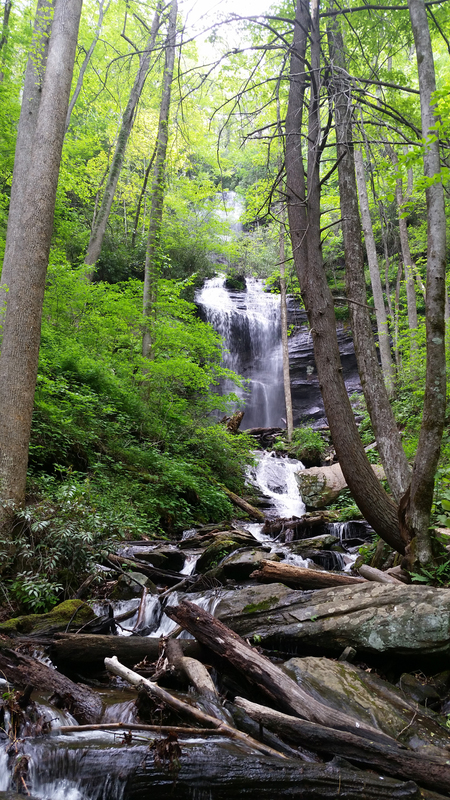 It’s just a few miles from the Pisgah Forest Visitor Center, where one can stop in and get a trail map.